Interesting job near Mullion last week. Originally contacted by the home owner who had just bought the property, requiring a quote for a replacement oil fired boiler. The existing boiler was sited in the kitchen and as a new kitchen was being fitted, the customer wanted a new oil fired combination boiler to be fitted and units put around it. 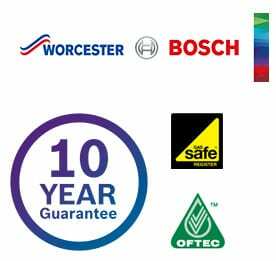 We quoted for a Worcester oil boiler but also discussed the merits of fitting a wall mounted LPG Worcester gas boiler in the existing cylinder cupboard. After comparing the running costs and what the usage of the heating and hot water demand would be, we found the difference in fuel prices to be marginal. We requoted for the gas boiler, which is substantially cheaper than the oil fired version, and due to its flexibility in location, this was the option chosen. The end result was a happy customer who had gained extra kitchen cupboard space, the boiler was situated in a more central location for hot water demand and a large green oil tank has been removed from the garden (not a pleasant job to remove the oil and cut up the tank for disposal but if it was easy everyone would be doing it) Just shows that with listening to what the customer really needs, it may not be the first option you look at and after all they will have to live with it for years and it is worth taking a little extra time sometimes.